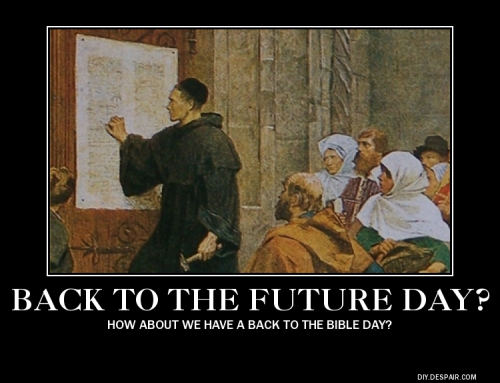 Tonight my church is celebrating Reformation Day. 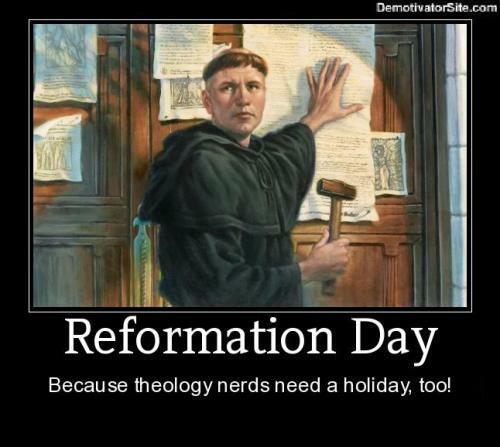 My good friend at TheWardrobeDoor.com posted some graphics that should be spread like wildfire through social media on Oct. 31st! 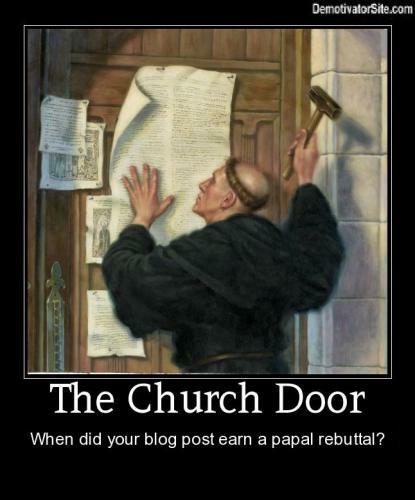 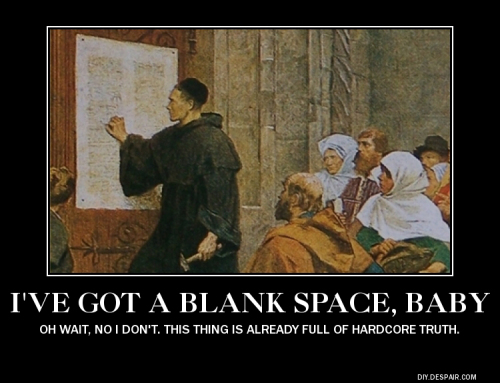 One of my favorites: When did your blog post earn a Papal rebuttal? 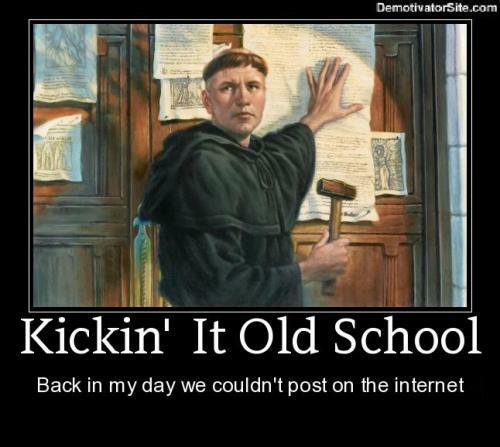 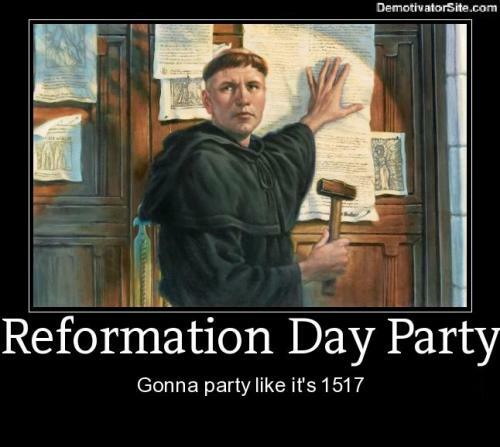 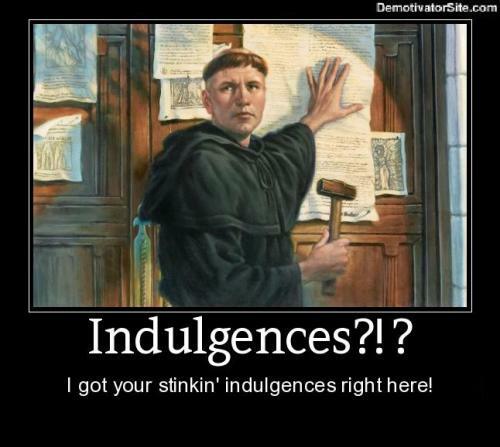 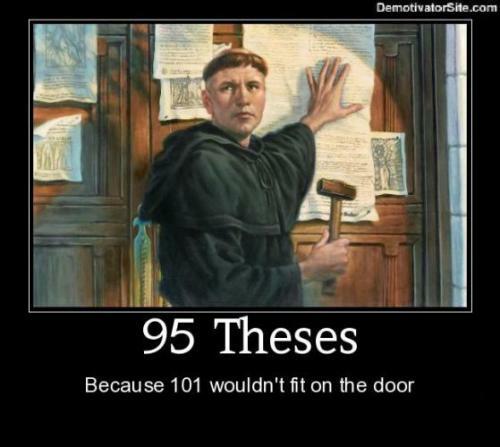 This entry was posted in Keeps me laughing, Theology and tagged 1517, church door, martin luther, oct. 31, reformation, reformation day. Bookmark the permalink.